As Elizabeth Baird Hardy has already shown in her review of the final Twilight Saga movie, Breaking Dawn Part 2 stays fairly close to the last third of Breaking Dawn, with most changes being for the purpose of streamlining the story for the viewing audience. Some of the changes are large, but several tweaks appear minor at first – a different character says a particular line than says that line in the book, for example – yet when we examine them more closely, we see that they have a larger impact on the storyline than would first appear. One such alteration was the setting of the final scene, where Bella is finally able to remove her mind shield and share her memories with Edward, revealing the depth of her love for him fully for the first time. In Breaking Dawn, this scene happens in Bella and Edward’s cottage; in the movie, it occurs in Edward’s meadow. Before I examine the significance of this change, let me first explain why this scene is important. Perhaps obviously, this scene is important mostly because it is the end of the book. It’s the scene that the rest of the book and indeed the entire quadrilogy have been leading up to. Meyer explained in her interview with Shannon Hale, “I had to write all four books to get to those last two pages. Just to have Bella and Edward really be able to understand each other – that made it worth writing four books.” (Official Illustrated Guide 40) This moment of mutual understanding and unity is the moment Bella and Edward’s entire romance has been moving towards. We should take a moment here to consider the import of this observation. 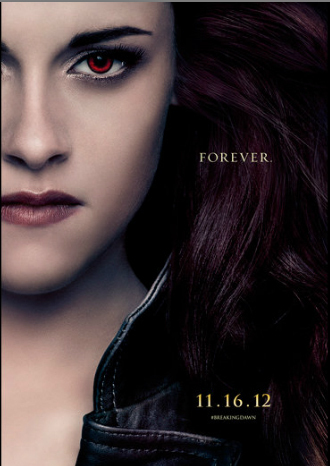 Often, Bella’s story is seen as a bildungsroman coming-of-age tale that finds its finale in Bella’s transformation from helpless clumsy human to shielding vampire saviour, with its climax in the confrontation with the Volturi. The Twilight Saga is often criticized as a weak or frivolous Mary Sue story. John Granger has dealt with this criticism of the novels in Spotlight: A Close-Up Look at the Artistry and Meaning of Stephenie Meyer’s Twilight Saga (189-194). If we stop looking for meaning when we acknowledge the superficial Mary Sue story contained in Twilight, we will miss the particular twist that Meyer gives her version: the deeper spiritual transformation and apotheosis aspects, the God-Man Everyman Drama. It is not enough for Bella to be transformed into a god-like vampire with superpowers that enable her to stop a vampire war before it starts. That was merely a pit stop on the way to Bella’s true moment of glory: when she achieves complete unity with her mate for the first time. Meyer has provided her readers with a perfect Mormon ending where Bella and Edward finally achieve the completion and perfection of each other through the mental marital unity they experience in the final pages of Breaking Dawn. LDS Past-President Spencer W. Kimball wrote on the topic of oneness in Mormon marriage, “In true marriage there must be a union of minds as well as of hearts. … Some personal freedoms must be relinquished, … there must be a great unselfishness, forgetting self and directing all of the family life and all pertaining thereunto to the good of the family, subjugating self. … Each party must eliminate the ‘I’ and the ‘my’ and substitute therefore ‘we’ and ‘our.’” This is exactly what Bella purposes to do as she strains to push her shield away from her own mind, fighting against her “automatic instinct to preserve self above all else” (Breaking Dawn 752-3). Bella relinquishes her personal freedom, which her mind shield provides. With a great unselfishness she opens up her memories to her spouse, subjugating her mind to Edward’s mind-reading powers. 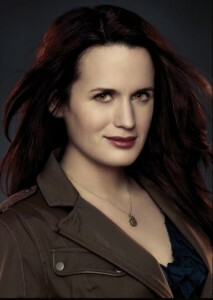 The perfect Mormon Wife, Bella eliminates her “me” and replaces it with “we”. Once we observe this, it is easy to understand why Meyer set this scene in Edward and Bella’s cottage. This is the cottage renovated for them by Esme, the Matriarch of the Cullen family, symbolic of their union as husband and wife, forming a new family (with the master bedroom and a bedroom for Renesmee as well). It is also a place that symbolizes their separation from the extended Cullen family headed by Carlisle, into a Cullen Jnr subset family headed by Edward. It is fitting that the moment when Edward and Bella finally achieve total marital intimacy is set in the cottage, their marital home. We should also note that this moment takes Bella full circle. She separated from her clingy, dependent mother to move to Forks in the opening scene of Twilight, and now in the closing scene of Breaking Dawn, she is united to her husband in the experience of one flesh, one mind. This scene is the point to which the four volumes have been moving. The Bible explains (Ephesians 5:32) that marriage is a metaphor for the relationship between Christ and his Church. In Edward and Bella’s mind-meld we therefore have a picture of the complete union of Edward-Jesus to his Bride, the Bella-believer. As John Granger puts it, “In this coital finish of Breaking Dawn, we get the conjunction of opposites, human seeker heart and the Divine Mind, in which the human heart finally opens up completely to the God who would never force his way there. The result is a love that is ‘forever’ or eternal and a bliss that is continuous in the ultimate communion of Creator and Created-image.” (Spotlight 146). When we consider that Edward and Bella’s mind-meld is not exclusive because their daughter Renesmee has the ability to speak into each of her parents’ minds via implanted vision images, we again see that this God-Man union has LDS overtones. This is the resolution of the God-Man Everyman Drama mentioned earlier, given the “forever families” with “spirit children” spin of Meyer’s Mormonism. So what difference does changing the setting for the movie make? Before we can answer this question, we must examine the use of the meadow location in the books and, in particular, in the movies. There are two meadows in the books. The first is, in Bella’s parlance, “Edward’s Meadow”. This meadow is “small, perfectly round … The sun … filling the circle” (Twilight 226-7); it is “symmetrical … as perfectly round as if someone had intentionally created the flawless circle” (New Moon 234). Bella enters it by stepping “through a low arch made by two vine maples” (New Moon 234), scientific name Acer circinatum. This meadow is, at its most basic, a circle. John Granger has explained the metaphysical symbolism of circle and centre, with regard to Edward’s meadow, in detail in Spotlight (chapter 4), so I won’t go into it now. However, I would like us to understand that the circle is essential to the story, which is itself a ring composition (detailed evidence for this must await another post), describing a “circular journey” (Spotlight 107) which begins with separation from mother and ends with unification to husband. We may consider Edward’s meadow to be an alchemically circular story-crucible, within which the essential elements of the story conflicts are combined to catalyze their transformation and reveal their significance. In Twilight, Edward’s meadow is the setting for the moment of truth between Edward and Bella, where he reveals himself to her fully by showing her his sunlit skin. This is not the moment he admits he is a vampire; that has already occurred in Port Angeles, the town of angelic messengers. However, it is the setting for the full revelation of Edward’s nature: his smell, his speed, his strength, his sparkle! In Edward’s meadow the reader is made privy to the critical conversation that reveals the depths of the core conflict between Edward, the powerful vampire sworn off human blood, and Bella, the frail human whose blood sings so sweetly. Edward demonstrates his abilities as the “world’s best predator” (Twilight 231) but then reveals his penchant for Bella’s smell in the famous “my brand of heroin” quote (Twilight 235) before confessing, “You are the most important thing to me now. The most important thing to me ever.” (Twilight 240). Edward’s meadow is the location of the first mention of love between the two characters: “And so the lion fell in love with the lamb.” (Twilight 240). Later in Edward’s meadow, Bella faces Laurent without Edward’s protective presence, with only his imagined voice to keep her safe. She would be consumed, but for the timely entrance to the meadow of the Quileute wolves. As such, Edward’s meadow is the location of a second revelation of true nature; this being the first time Bella sees Jacob in his wolf form. Meyer has also explained the importance of this event in this location: “What Bella heard in her head was all imagined. … The proof that Edward couldn’t know what was happening to Bella comes when she is almost killed by Laurent. Had Edward even had an inkling that Victoria or Laurent was back in Forks, he would have returned immediately to protect Bella.” (Official Illustrated Guide 542). In this scene Bella begins to find the truth about Jacob, and she is given a hint as to a further truth about Edward: though her subconscious is telling her he does care for her, at the moment he is in no position to protect her (and indeed later in the book he will need her protection). It is fitting that, in the only scene in Edward’s meadow in which Edward himself is absent, the wildflowers that made the meadow so beautiful are long gone – even the sunlight which first revealed Edward’s light is gone. “There was nothing special about this place without him.” (New Moon 234). 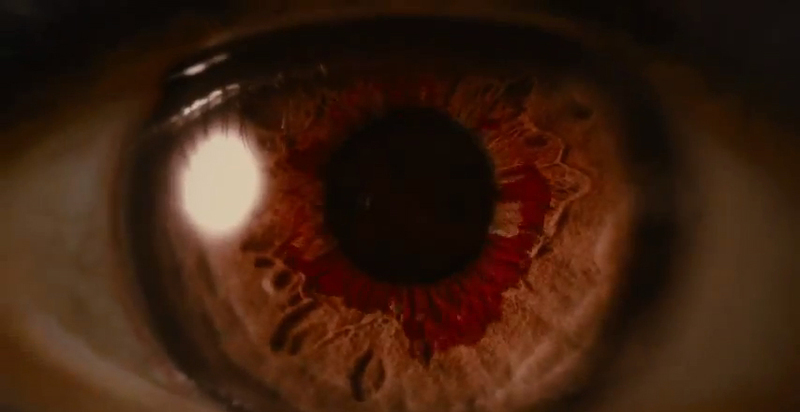 The movies add several scenes occurring in Edward’s meadow. The opening scene of the New Moon movie occurs in Edward’s meadow, where the night before her eighteenth birthday, Bella dreams of facing her aged self in a mirror, accompanied by a preternaturally young Edward, “excruciatingly lovely and forever seventeen” (New Moon 6). (In the book, no setting is given for this dream.) This dream provides the viewer and reader with an insight into the conflict to be settled in the second installment of their story. The question is whether Bella will remain a human who is subject to aging, or be given the gift of immortality, becoming a Cullen. 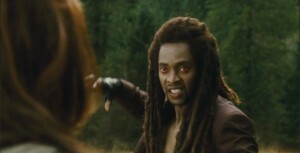 The opening scene for the Eclipse movie shows the moment Victoria bites Riley, changing him to a vampire, the leader of her newborn army. The following scene, the first with Edward and Bella, is set in Edward’s meadow, following the pattern set in the New Moon movie. Bella is reading Eclipse’s epigraph, the poem “Fire and Ice” by Robert Frost, aloud to Edward. He interrupts her recital to ask her to marry him, an offer she refuses, prefiguring the romantic conflict to be resolved in this episode: Edward agrees to be the one to change Bella into a vampire, on the condition that first Bella must marry him. The question “wasn’t a choice between [Edward] and Jacob, it was between who I should be and who I am,” according to Bella (Eclipse movie chapter 17). Elsewhere in Eclipse, Bella describes this as trying to force two parts of herself together: “Edward’s Bella and Jacob’s Bella” (Eclipse 607). Contrasted with Victoria changing Riley to enter into an alliance with him, Bella’s change by Edward and marriage to him will be a considered choice, the result of concessions and compromise on both sides. Bella finally agrees to wear Edward’s ring at the end of the movie in a scene set, once again (this time, as per the book), in Edward’s meadow. It is “our meadow” now, according to Edward (Eclipse 613). The second meadow is “an enormous open field, in the lap of the Olympic peaks. It was twice the size of any baseball stadium.” (Twilight 320). It is the location of each of the major confrontations between the Cullen family and their enemies in the novels. 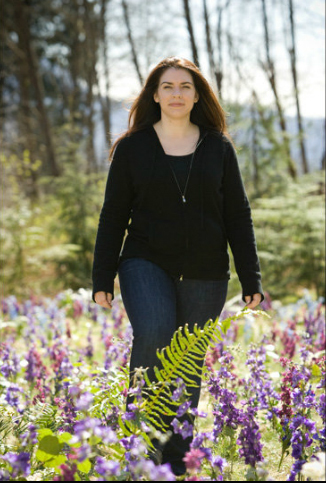 Bella first enters this field by passing beyond a “massive hemlock tree” (Twilight 320), a portent of poison and death. In Twilight, this field is where James, Victoria and Laurent interrupt the Cullens playing baseball and James commences tracking Bella. 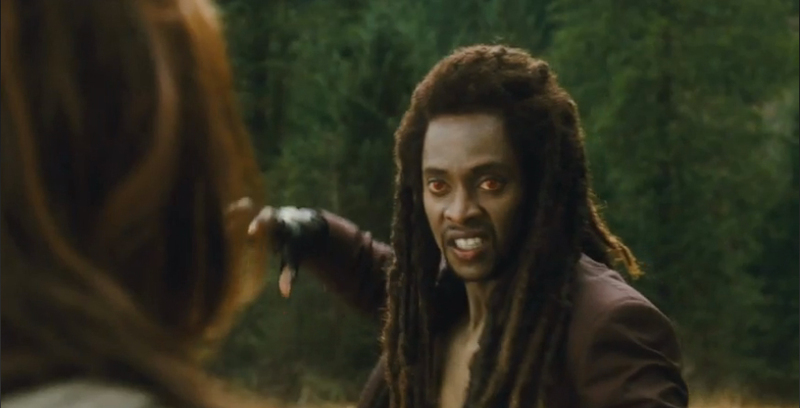 In Eclipse, it is the setting for the main fight between the Cullens, the Quileute Pack, and their opponents, Victoria’s army of newborn vampires. In Breaking Dawn, this clearing is the location of the final showdown between the Cullens, their allies and the Volturi. In New Moon, the confrontation occurs in Volterra, rather than Forks, but even this clash is prefaced by Bella’s desperate dash across another open space, “the main plaza, under the clock tower” (New Moon 439) and finally occurs in a “cavernous room, perfectly round like a huge castle turret” (New Moon 465). These locations parallel the open field of the other three altercations. Thus the two meadows situate two different types of meeting: the first is a crucible encircling the Edward vs. Bella individual conflict of the novels; the second locates the Cullen vs. enemy vampire communal confrontations in the saga. It is in the crucible of Edward’s circular meadow that Bella and Edward finally experience their complete union of one flesh, one mind in Breaking Dawn Part 2 the movie, as they experience the culmination of their alchemical apotheosis. In the circular meadow, the story comes full circle, and Bella completes her Hero’s Journey. I have one final observation to make of this location. In setting the final scene in Edward’s meadow rather than the cottage, the movie makers may have also been making a gentle hat-tip to Meyer herself, who claims that the original idea for the novels came from a dream she had, of a vampire conversing in a meadow with a girl “mostly about how much he wanted to kill her – and, yet, how much he loved her,” a dream that grew into the central chapter of Twilight (Official Illustrated Guide 3). But the scene setting in Edward’s meadow is more than a mere hat-tip. This final scene of Breaking Dawn Part 2 provides an answer perfectly paralleling the original conflict question. How can Edward be together with the girl he wants to kill, yet loves? By Bella surrendering to Edward, opening her mind to him, so that the two finally become one. Here we have a ring resolution that combines with its conclusion not the first scene of the book as published, but the genesis of the entire saga in the authorial imagination. In a poignant moment, we realize that it is not merely Bella who has completed her Hero’s Journey. It is also Stephenie Meyer herself, who has come full circle from her dream of a vampire boy and a human girl in a circular meadow, in conflict with each other – to her silver screen vision of the same boy and girl in the same meadow, this time united. This scene is the finale of Stephenie Meyer’s own Hero’s Journey, from dreamy not-yet-writer to world-recognized author and movie producer extraordinaire. Meyer may not have perfected her own Mormon marriage by Mary Sue story proxy, but she has certainly effected her own transformation: Meyer is now a confident woman in tune with herself and her Muse. How was the ending of breaking dawn part 2 when bella reveals her memories to edward created? @Danielle: Edward and Bella are having a conversation in the meadow and Bella’s mind shield is shown moving out from her head, as in the battle scenes (a shimmering out of focus area on the screen). Then, the scene changes to a montage of Bella’s memories, using cuttings from the previous movies. 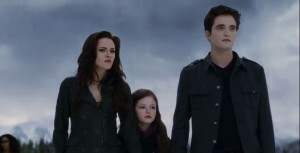 Why do Bella and Edward not sparkle at the end of Breaking Dawn 2? The director for the last movie was different from the first, and they had more money for special effects, so they went with a more subtle approach, which involved lowering the pixel factor for their skin so that (human) blemishes were removed and their skin seemed clearer, rather than focussing on a diamanté sparkle like in the first movie. Also, from memory the fight scene at the end of BD2 took place under cloud cover, as do so many events in the Twilight stories. This would mean no sparkle, as it relies on sunlight, according to Meyer’s vampire mythology.